The handy slow cooker is an essential device when you’re looking to impart big, bold flavors to a dish and break down tougher cuts of meat. That’s why a crock pot or slow cooker is the perfect way to get tender beef and amazing flavor with cuts like beef shank, chuck roast, brisket, and short ribs. The low and slow approach is the ideal way to cook up many cuts of beef, and it’s also an ideal way to have dinner ready when you get home in the evening. This list compiles beefy recipes like beef shank osso bucco and Chinese 5-spice pot roast, promising variety and big flavors. Best of all, all of these beef slow cooker recipes are relatively effortless, with only a few steps. You’ll love how easy these comfort food beef recipes come together, and the rib-sticking, tasty results. Osso bucco is a rich, braised meat shank (beef, in this case) typically cooked with wine and vegetables. This slow-cooker beef shank osso bucco with lemon-parsley gremolata is a gourmet meal made easy, thanks to the slow cooker. These beef shanks are first dredged in flour then browned to lock in flavor. Veggies like onions, carrots, and celery lend even more flavor during a slow braise, which also yields some deeply flavorful, succulent marrow in the bone. Topped with a quick parsley, lemon zest, and fresh garlic gremolata, this meal delivers big, bold flavors. Typically, Yankee pot roast is a chuck roast cooked low and slow with root vegetables like carrots and potatoes, and this recipe is no exception. 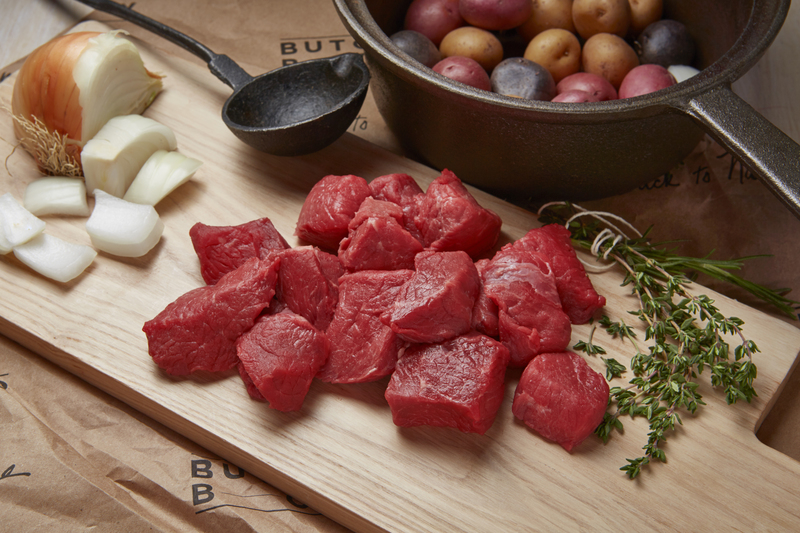 All you’ll need for this recipe is a chuck roast, olive oil, garlic, carrots, red potatoes, pearl onions, salt, black pepper, thyme, beef stock, crushed tomatoes, and tomato paste. It’s super simple! You could also add a splash of red wine for even more flavor. Be sure to sear your roast before adding it to the slow cooker, to lock in all those rich, beefy flavors. This gluten-free Irish beef stew uses eye round roast and dark beer to create a rich, beefy slow-cooked meal for the whole family. By far, it is one of our favorite slow cooker meals. 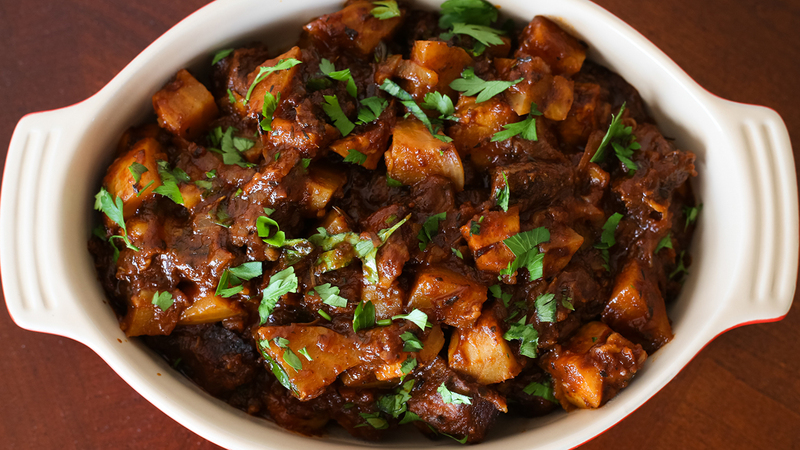 With eye round roast, bacon, onions, carrots, red potatoes, turnips, dark beer, and beef stock, this stew is easy to prepare. Add parsley, thyme, salt, and pepper, and you’re in for a flavor explosion. Love pot roast, but looking for something a little different? This Chinese 5-spice beef chuck roast is cooked low and slow in the crockpot, but spiced with thoroughly Chinese flavors thanks to Chinese 5-spice featuring star anise, clove, Chinese cinnamon, Sichuan pepper, and fennel seeds. You’ll also find mirin, tamari, fresh ginger, shiitake mushrooms, bok choy, and sugar snap peas rounding out the Chinese flavor profile. These savory slow cooker beef sirloin tips are loaded with flavor, easy to prepare, and naturally gluten-free, dairy-free, and Paleo-friendly. They’re also packed with umami flavors thanks to the mushrooms — and quite delicious, if you needed any more convincing. Beyond beef tips and mushrooms, all you’ll need is some onion, cooking sherry, beef broth, garlic powder, cracked black pepper, sea salt, and tapioca starch. 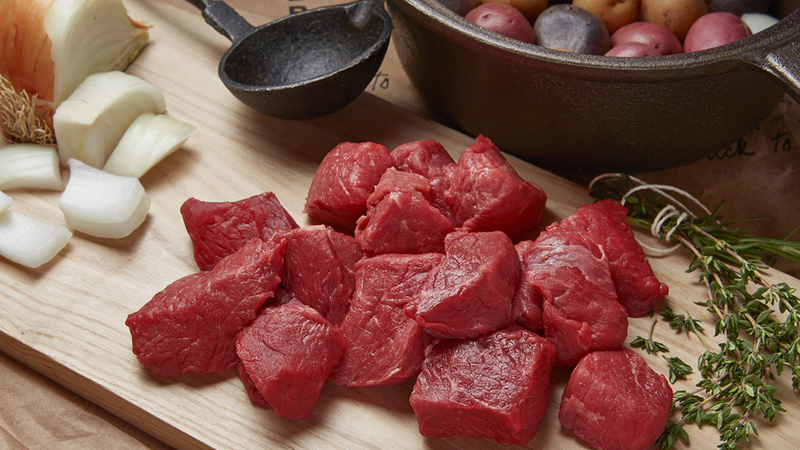 These super-beefy tips go great over a bed of mashed sweet potatoes with any veggie side you’d like. This simple Asian style slow cooker pot roast is perfect for meal prep. It combines chuck roast with oil, beef stock, soy sauce, garlic, Chinese five spice, brown sugar, onions, carrots, potatoes, and salt. All you have to do is sear the roast then cook it up in the slow cooker. You can serve this alongside rice, cauliflower rice, mashed root veggies, or whatever else strikes your fancy. Pro tip: A couple smart substitutions, like coconut aminos for Chinese five spice, and coconut sugar for brown sugar, makes this meal Paleo-friendly. 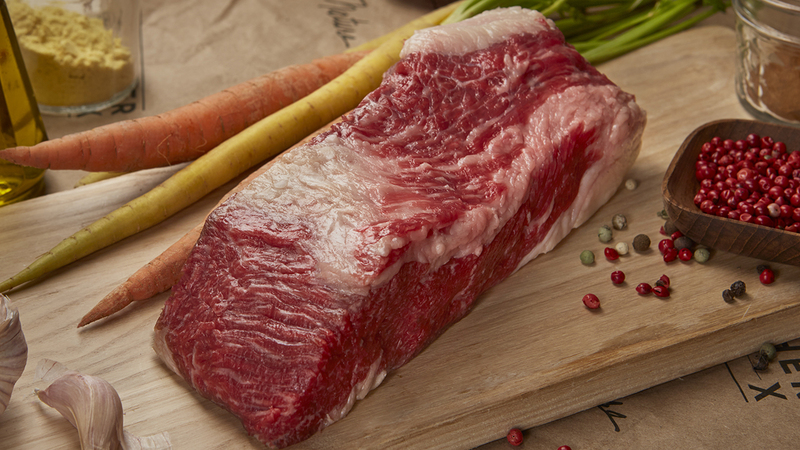 Need a fool-proof, easy beef chuck roast recipe for busy weeknights? Give this one a try. With just a handful of ingredients, you can have a pot roast with little effort. All you need is chuck roast, salt, pepper, coconut oil, beef broth, onion, garlic, basil, oregano, thyme, rosemary, carrots, and potatoes. Be sure to add the veggies later in the slow cooking process so that they’re tender, but not mush. These savory slow cooker short ribs are so fall-apart-tender and rich, you’ll feel like you cooked up a restaurant-quality meal at home, with very little effort. 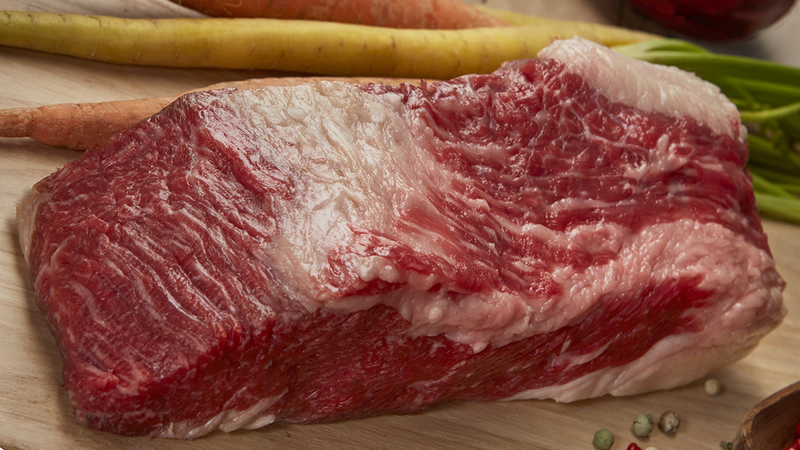 Simply season your beef short ribs with some salt and pepper, and sear them in olive oil. Quickly sauté some carrot, onion, and celery, and add all of it to a slow cooker. Make a quick red wine reduction in the pan, then pour it over your meat and veggies. Cook the whole thing on low for seven to nine hours. Looking to make smoked brisket, but don’t have a smoker? Give this Crockpot molasses “smoked” brisket a try. A little liquid smoke lends this brisket deep, smoky flavors, while the Crockpot ensures it comes out juicy and tender. The brisket gets rubbed down first with onion powder, garlic powder, smoked paprika, coriander, ginger powder, salt, and pepper. Liquid smoke, molasses, tomato paste, beef stock, onion, and carrot join the brisket to add even more flavor. This fool-proof, easy Crockpot beef stew is a lifesaver when life gets busy. Cut your chuck roast into 2-inch chunks — or just use stew meat — and douse it with tomato paste, balsamic vinegar, beef stock, garlic, bay leaf, rosemary, yellow onion, potatoes, and carrots. Fire up the slow cooker and cook on high for about five hours, or low for seven to eight hours. Throw in some green beans in the last 45 minutes of cooking, and you have a hearty, stick-to-your-ribs meal. This uber-comforting slow cooker boeuf bourguignon is made with easy ingredients, but it takes a couple steps to compose. The warm, delicious result is well worth it. First, you’ll fry up some bacon, then you’ll sear your chuck roast. Then you’ll make a quick pan sauce with the drippings, chicken broth, tomato sauce, and soy sauce. Slowly whisk in some flour to thicken the sauce. Add the meat and sauce to the slow cooker, and adorn it with garlic, thyme, carrots, potatoes, and mushrooms. You’ll love the deep, umami flavors in this stew.